The story is set just following the conclusion of 'Split'. 'Glass' finds the security guard David Dunn (Bruce Willis) pursuing Kevin Wendell Crumb's superhuman figure of The Beast, one of the twenty-four different personalities this disturbed man (played by James McAvoy) has inside him, in a series of escalating encounters, while the shadowy presence of Elijah Price (Samuel L. Jackson), a well-know enemy David Dunn already had to face, emerges as an orchestrator who holds secrets critical to both men. A sequel for both 'Unbreakable' and 'Split', films by M. Night Shyamalan. Both movies from the praised director of 'The Sixth Sense' and 'The Village' join theirselves in this new and explosive thriller. 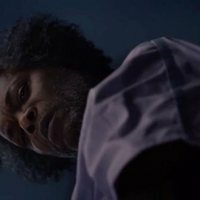 Write your own 'Glass' review. Alliterations are frequently seen in the names of comic book characters (Peter Parker, Bruce Banner, etc.). 'Glass' follows this theme with superhero David Dunn and supervillain Kevin Crumb. This crossover has been possible because Buena Vista, a Disney arm that owns the rights for '[UNBREAKABLE]', and Universal, that has the rights for '[SPLIT]', decided to work together. Buena Vista distributes the movie worldwide, while Universal does it in the United States. 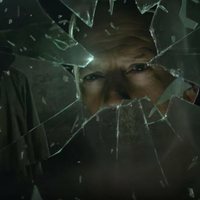 After the completely unexpected end of '[SPLIT]', Shyamalan dad to announce this project after not much time has passed since the release of his previous movie. He did in his Twitter account on 26/04/2017.